Call him the king of naija internet meme and you wont be wrong. He is the ideal definition of what a talented actor is in this part of. the world. 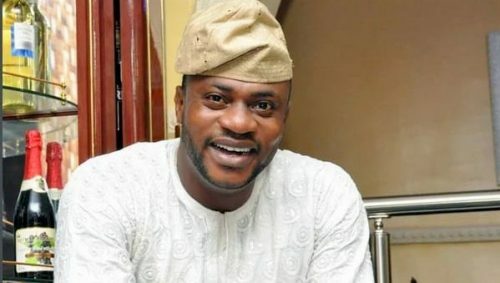 Odunlade Adekola (born 31 December 1978) is a Nigerian actor, singer, film-maker, producer and director. He recently starred in and produced a new movie called Adebayo Aremu Abere. He is the CEO of (Odunlade Adekola Film Production) OAFP. He was born on 31 December 1978 at Abeokuta, the capital of Ogun State, southwestern Nigeria. He is, however, an indigine of Otun Ekiti, Ekiti State. He attended St John’s Primary School and St. Peter’s College in Abeokuta, obtaining the West African School Certificate Examination before he proceeded to Moshood Abiola Polytechnic, where he received a diploma certificate . Odunlade Adekola started acting at a very early age. According to him, whenever any anniversary was to hold in his church (the Christ Apostolic Church, Lafenwa, Abeokuta), he and a friend named Tunde would request to play jesters, and this request was always granted. He would then write a “script” for a comedy play involving just two characters (him and his friend). That was how it all began for this professional actor, director and producer. Adekola has featured in more than 100 Yoruba movies.He began acting in 1996, the same year he joined the Association of Nigeria Theatre Arts practitioners and was under the tutelage of the late Nollywood actor and producer Isola Durojaiye (also known as Alasari). He had starred, scripted, produced and directed several Nigerian films over the years. In April 2014, he won the Africa Movie Academy Award, having emerged as best actor of the year alongside Fathia Balogun who emerged as best actress of the year. In December 2015, He marked his entrance into the Nigerian music industry. Due to his popularity and impact in the film industry, photographs of Adekola during filming is widely used as internet meme across Nigerian web space.